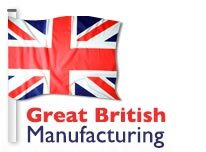 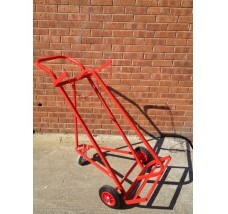 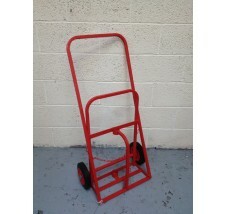 Our Gas Bottle Trolleys are manufactured from round tubular section and have tough powder coated finishes. 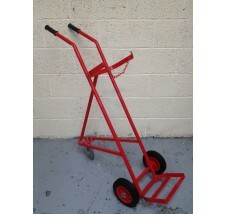 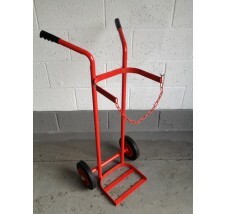 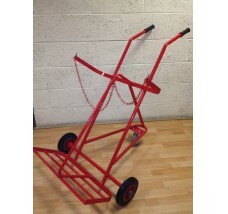 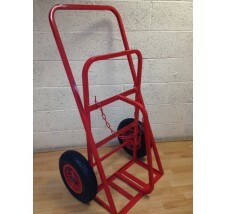 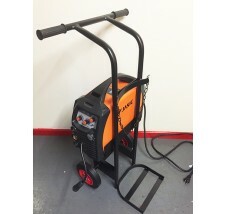 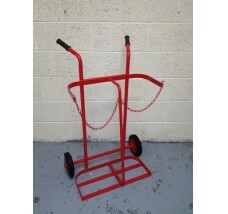 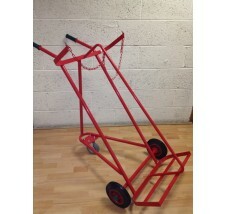 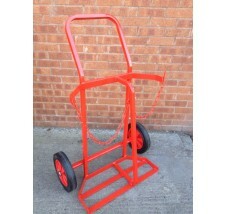 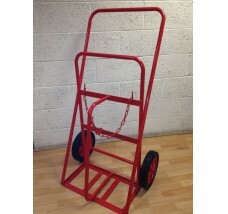 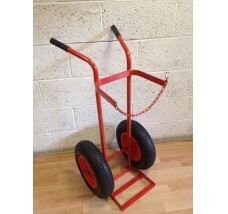 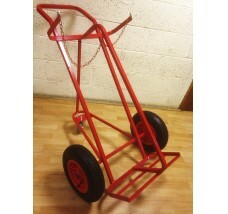 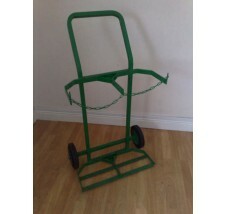 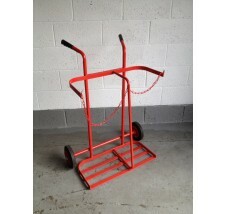 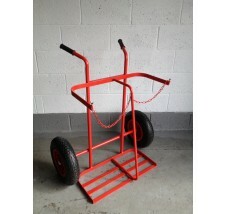 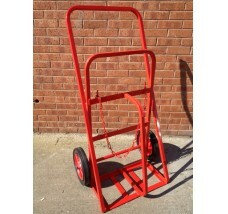 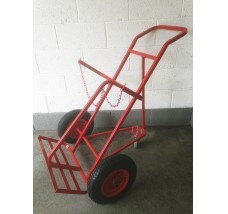 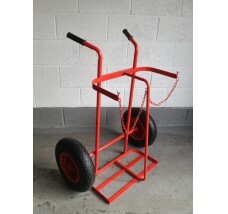 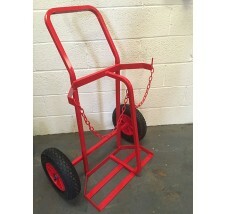 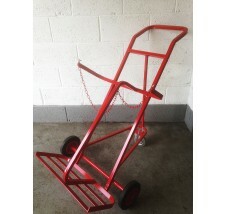 Trolleys are available with both solid rubber tyres and pneumatic wheels. 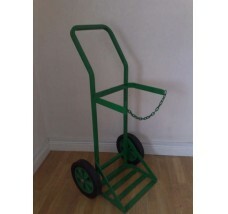 Adjustable chains are present on selected designs of our Gas Bottle Trolleys. 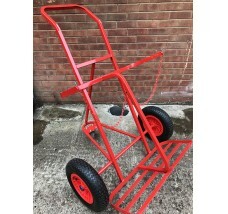 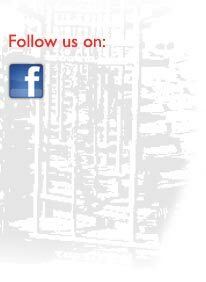 If you need a bespoke Gas Bottle Trolley to suit specific needs please contact us as we can manufacture trolleys to suit. 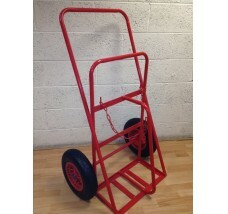 Sizes and dimensions of the gas bottle trolleys shown are approximate.